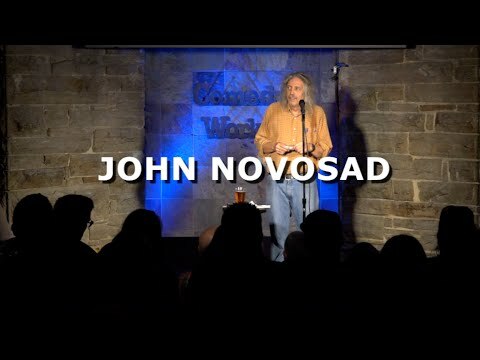 John Novosad, also known as Hippieman, is a seasoned veteran of stand-up comedy. He has toured extensively over the years and continues to do so. John has made two appearances on the Late Late Show with Craig Ferguson and one on the nationally syndicated television show, Comedy.TV. He’s also performed at the Aspen Laff Festival, the High Plains Comedy Festival, the Great American Comedy Festival and most recently the prestigious Bridgetown Comedy Festival, as well as, being named the Winner of the comedy competition at the 7th Annual Laughing Skull Festival in Atlanta. John also hosts a comedy/variety show called, “Hippieman’s Plan for America.” On this show he presents comedic solutions to problems facing today’s America. A favorite at Denver's Comedy Works, John's disarming presence and sharp wit create a versatile and engaging performance every time!